Cowboys, abandoned buildings, I'll draw whatever it takes to grace the printed matters of unique organizations with one-of-a-kind imagery. Dr. Steven Stephenson's lab researches fungi, myxomycetes (slime molds) and vascular plants. Stemming from this petri dish are some Ozark-specific species of each of these groups: Amanita arkansana (mushroom); Trillium viridescens (flower); Collaria arcyrionema (slime mold). 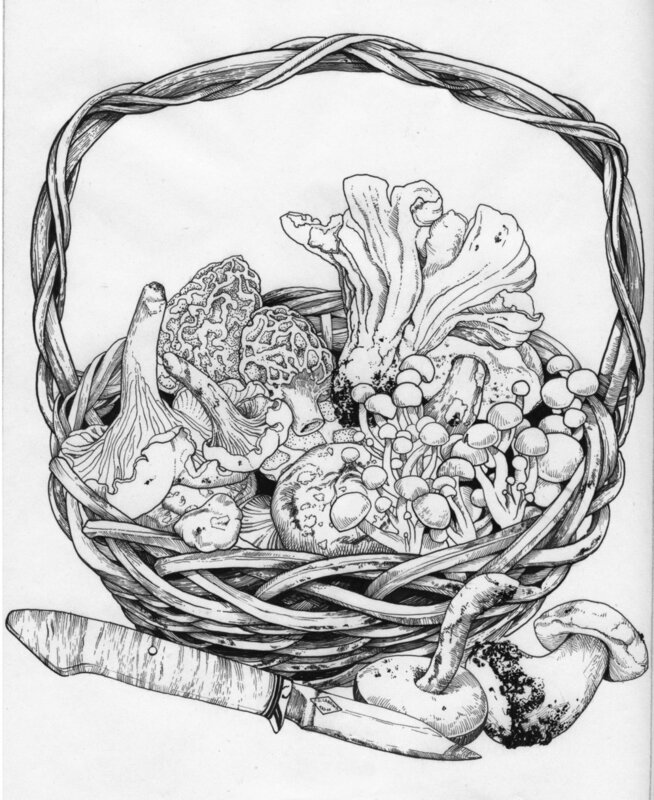 The FFSC's 43rd annual fair celebrated 'foraging', and I was asked to illustrate a basket of tasty bounty, plus a knife modeled after federation member Phil Carpenters' handiwork. A historical graphic novel about a cowboy-turned-outlaw is in the works. 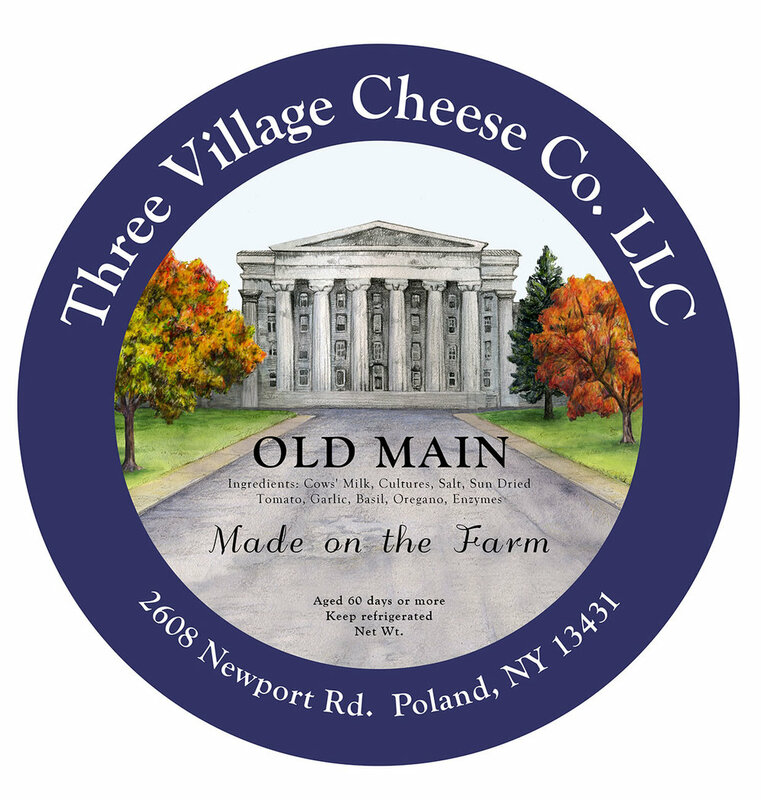 Label illustration for three village cheese co.
Three Village Cheese Co. asked me to make a label for their Old Main cheese, inspired by a historic, grand, and now-empty building near their farm.